This is more my sort of camping! Luxury Camping or Glamping means you can enjoy the outdoors with some of those home comforts that normal camping means you have to forego! Have you thought about going camping but thought it might be a bit rough and ready? Well now you can enjoy Glamping or Luxury Camping! I must admit I enjoy those little touches of luxury when I am away from home. So when someone starts talking about camping, the first images that come to mind involve roughing it up outdoors. To some extent I guess that is what camping entails. 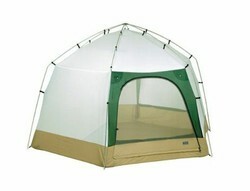 You set of into the great outdoors and set up your own tent outside so you can all enjoy sleeping under the stars! However, if like me you want to go out and explore the outdoors but would much prefer to leave the rough parts out then Glamping or luxury camping could be for you. Glamping, which is short hand for Glamorous Camping or Luxury camping, gives you all the amenities that you will not normally get when you go camping. Imagine if you had to go for days without a shower; had to drink lukewarm beverages, or going to the toilet behind a tree. Doesn't sound like much fun does it! When you go Glamping you do away with all those hassles and replace them with comfort and convenience. But at the same time you still are able to enjoy that great, rustic feel of being in the great outdoors. No more canned baked beans but enjoy instead chef-prepared meals. Replace sleeping bags with luxurious tent accommodation which comes complete with fine linens. Enjoying the great outdoors without the discomfort and inconvenience in luxury camping is sure to make a happy camper out of anyone. If you are going to go Glamping then you want to make it a special holiday don't you? Eco Retreats, Powys in Wales. This is situared on more than a thousand acres of rolling acres in the the midst of the Dyfi Forest. You will find it located at the end of a track and the luxury camping grounds aim to let you reconnect with the rhythms of the environment. Amongst the things you can enjoy here are five tipis and one yurt which are surrounded by oak woods and meadows. They provide evening meditation sessions as well as access to the Centre for Alternative Technology nearby. Eco Luxury Yurt Suite, Lanzarote in Spain. This is part of a nine-unit eco property group. The eco luxury suite is located 30 kilometers away from Arrecife. If you decide to stay here, you will be sleeping in king-sized beds and lounging on Polynesian-styled daybeds. That is when when you're not soaking up the sun on the nearby sandy beach. They also provide plunge and solar-heated swimming pools which are great ways to relax. Canna camping Holidays, Inner Hebrides in Scotland. If getting away from city life appeals to you then there's nothing like the furthest isle from the Scottish mainland! With just enough space for 19 people. The Isle of Canna is known for its bird population and dolphins, minke whales, basking sharks, and the occasional orcas. Mongolian Yurts, Vaud, Switzerland. This sits atop the Rochers-de-Naye, and there are seven yurts that you can stay in. They are reached by the scenic railway from Montreux. The Yurts have authentic furnishings and you will find that they are insulated so that you stay warm during snowy winters. They are located near to a cliff-face restaurant where you can enjoy Mongolian fondue whilst experiencing amazing sunsets over Lake Geneva. Eco-Lodge Brejeira, Algarve, Portugal. These unique and eco-friendly lodges can sleep two people at a time. They come with their own showers and a compost toilet. When you are not enjoy the time glamping you can explore the nearby beaches or go mountain biking and hiking under the Brejeira. Wherever you choose to go enjoy a different approach to camping with glamping! More Camping and Travel Articles You Will Love! Time for your vacation and to think about what you need to pack? The list looks overwhelming and you wonder how you will get it all in! Let's look at how to pack for a vacation! What to take? Packing for a weekend away can be a challenge can't it? So how do you pack light and smart for that weekend away and make sure that you have everything you need? Ready to go camping? Then this essential camping checklist will ensure that you are fully prepared. What needs to be on your camping checklist to ensure you have the best trip? Does Glamping Appeal To You? I'm prepared to try glamping..not much into camping. Wow, that sure beats sleeping on the ground. Haha, glamping is what we have done, because we towed a short travel trailer to go with us. Just bought a used RV. See how that goes on the trail. 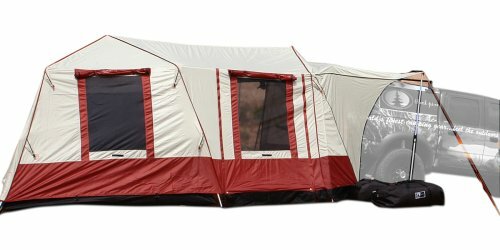 I've never been a camper... but a glamper? I think I'd give that a go! The only problem is in deciding which of those resorts to try first. I like camping on high elevation maintains, so glamping is out of question, but for camping on the ocean shore it is OK with me. I want to go camping again...just not sleeping on the ground. There's nothing like the great outdoors. Definitely an option for us. The kids would love it and yes, we do rather like our home comforts too! Oh yes! I like the Glamping idea!